I was blog hopping recently (in my usual meant to be doing homework time...) and came across this great blog Looking From Third to Fourth. AMC was asking for people to edit her latest HUGE pack and I was more than happy to do it! * It is huge! Over 100 pages of everything you could possibility need to do a two week investigation on measurement. * When I say everything, I mean everything, simply print off and use! * It includes both American and Canadian links and spelling - so perfect for teachers all over the globe! * There are hands on activities, small group activities and practical worksheets as well. 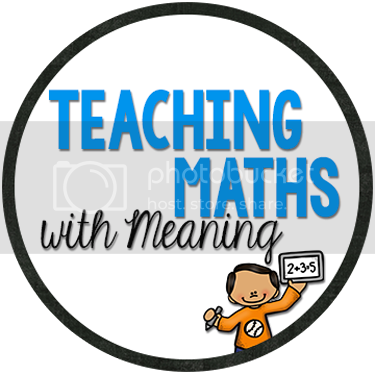 * There are activities simply concentrating on converting measurements AND put an emphasis on making sure the correct unit is used. * The bunny is adorable! * Length, area and perimeter are all taught! 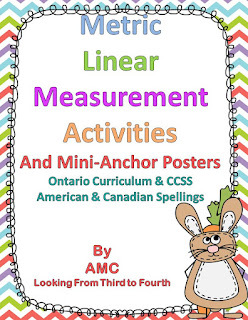 * It includes matching posters (with both American and Canadian spelling) for each topic, including the measurements. Head on over to TpT to get your own copy - very reasonably priced!! AMC is also having a giveaway of 2 x $10 Teachers Pay Teachers Gift Certificates. Head on over to Looking From Third to Fourth to find out more information. Who wouldn't want a $10 gift certificate! 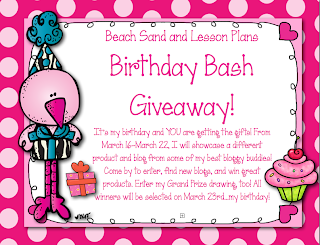 Also don't forget to go and enter Beach Sand and Lesson Plan's Birthday Bash Giveaway! 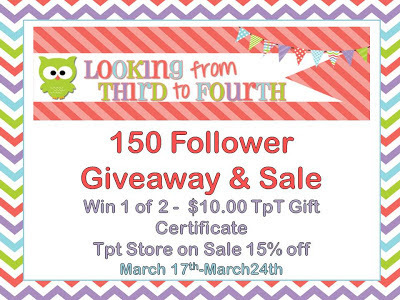 If you already follow me, you get an immediate entry, I am featured today and am giving away my most popular booklet!